Pre-invoicing is normally a "no-no" in the invoice finance arena but in this case we found a way around it for our client. It means is that the supplier is raising their invoice, to their debtor, before they have delivered the goods (or services) to which the invoice relates. The normal course of business would be to raise invoices, in arrears, after delivery of the product or services. Normally, preinvoicing presents a huge problem to an invoice financier as they rely on the invoices being collectable, in order to recover their prepayments should they need to. The problem with a pre-invoiced transaction is that the debtor could rightly refuse to pay, as they have not yet received the goods. In the normal course of business, the delay in supply may not be an issue. However, in the event of the supplier failing, going into Administration or Liquidation for instance, the supplier may not be able to go on to provide the product, in order to make the invoices valid and payable. Due to these issues, debtor finance companies get very jumpy when they identify pre-invoiced transaction on a client's sales ledger. With factoring, this can often happen when a credit controller calls the customers, and they say that they haven't received the goods for a particular invoice. With invoice discounting, it can sometimes be picked up at a regular audit. An audit is a regular spot check conducted remotely, or at the client's premises and it may include the discounter's auditors calling a few debtors, in the name of their client, to verify some of the debts on the ledger. This is called "telephone debt verification". Despite this, raising invoices in advance of completing delivery can often be a step taken in the interest of practical cash flow management. In some cases debtors may be quite happy with this, and it accelerates the cash flow of the business by getting payments in more quickly. However the issue for financiers remains. This was the case with a client that were were able to help recently. They were importing timber from abroad and so needed to pay their supplier, before they would ship the containers of timber. Their solution had been to pre-invoice their debtors but this had been flagged by their invoice finance company, leading to funding restrictions. Even after moving providers, the issue occured again and caused problems with the new provider. The answer was pretty simple. This client was an ideal candidate for trade finance, linked to an invoice finance facility. 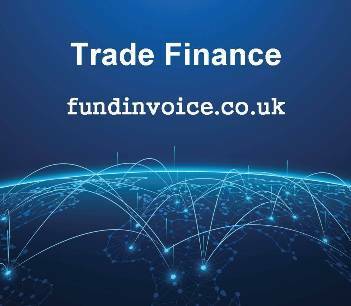 Trade finance (also called import finance) bridges the gap between having to pay your foreign supplier and receiving and selling the imported goods. We were able to put in place a combination of facilities. The import finance, from a international finance corporation, and an invoice finance facility to further speed up the cash flow of the business. Import finance finance can work hand-in-hand with invoice finance, significantly extended the time that the importer has to pay their overseas supplier. This type of end-to-end supply chain finance takes away the need to pre-invoice.